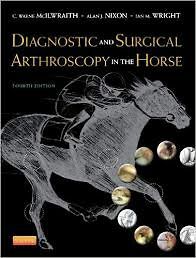 From the worldwide leader in equine surgery, Wayne McIlwraith, comes the new fourth edition of Diagnostic and Surgical Arthroscopy in the Horse. Completely revised and expanded, this comprehensive atlas covers all the need-to-know information within equine arthroscopy: instrumentation, general techniques, carpal joints, metacarpal and metatarsophalangeal joints, and tarsocrural joints. All the advances that have taken place in the field over the last decade are covered, particularly in the areas of postoperative management and rehabilitation. This trusted reference also provides an in-depth view of surgical procedures with new high-definition diagnostic and surgical arthroscopic images, as well as radiographs and composite illustrations. There is no better way to learn and master equine surgical procedures!